For other uses, see Corporation (disambiguation). "Corporate" redirects here. For other uses, see Corporate (disambiguation). 1/8 share of the Stora Kopparberg mine, dated June 16, 1288. The word "corporation" derives from corpus, the Latin word for body, or a "body of people". By the time of Justinian (reigned 527–565), Roman law recognized a range of corporate entities under the names universitas, corpus or collegium. These included the state itself (the Populus Romanus), municipalities, and such private associations as sponsors of a religious cult, burial clubs, political groups, and guilds of craftsmen or traders. Such bodies commonly had the right to own property and make contracts, to receive gifts and legacies, to sue and be sued, and, in general, to perform legal acts through representatives. Private associations were granted designated privileges and liberties by the emperor. Entities which carried on business and were the subjects of legal rights were found in ancient Rome, and the Maurya Empire in ancient India. In medieval Europe, churches became incorporated, as did local governments, such as the Pope and the City of London Corporation. The point was that the incorporation would survive longer than the lives of any particular member, existing in perpetuity. 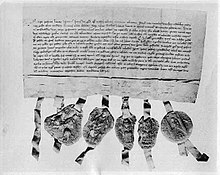 The alleged oldest commercial corporation in the world, the Stora Kopparberg mining community in Falun, Sweden, obtained a charter from King Magnus Eriksson in 1347. In medieval times, traders would do business through common law constructs, such as partnerships. Whenever people acted together with a view to profit, the law deemed that a partnership arose. Early guilds and livery companies were also often involved in the regulation of competition between traders. Dutch and English chartered companies, such as the Dutch East India Company (VOC) and the Hudson's Bay Company, were created to lead the colonial ventures of European nations in the 17th century. 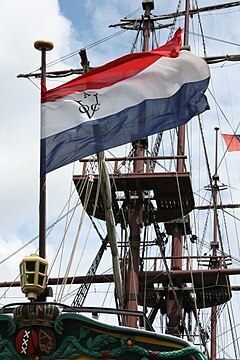 Acting under a charter sanctioned by the Dutch government, the Dutch East India Company defeated Portuguese forces and established itself in the Moluccan Islands in order to profit from the European demand for spices. Investors in the VOC were issued paper certificates as proof of share ownership, and were able to trade their shares on the original Amsterdam Stock Exchange. Shareholders were also explicitly granted limited liability in the company's royal charter. In England, the government created corporations under a royal charter or an Act of Parliament with the grant of a monopoly over a specified territory. The best-known example, established in 1600, was the East India Company of London. Queen Elizabeth I granted it the exclusive right to trade with all countries to the east of the Cape of Good Hope. Some corporations at this time would act on the government's behalf, bringing in revenue from its exploits abroad. Subsequently, the Company became increasingly integrated with English and later British military and colonial policy, just as most corporations were essentially dependent on the Royal Navy's ability to control trade routes. Labeled by both contemporaries and historians as "the grandest society of merchants in the universe", the English East India Company would come to symbolize the dazzlingly rich potential of the corporation, as well as new methods of business that could be both brutal and exploitative. On 31 December 1600, Queen Elizabeth I granted the company a 15-year monopoly on trade to and from the East Indies and Africa. By 1711, shareholders in the East India Company were earning a return on their investment of almost 150 per cent. Subsequent stock offerings demonstrated just how lucrative the Company had become. Its first stock offering in 1713–1716 raised £418,000, its second in 1717–1722 raised £1.6 million. A similar chartered company, the South Sea Company, was established in 1711 to trade in the Spanish South American colonies, but met with less success. The South Sea Company's monopoly rights were supposedly backed by the Treaty of Utrecht, signed in 1713 as a settlement following the War of the Spanish Succession, which gave Great Britain an asiento to trade in the region for thirty years. In fact the Spanish remained hostile and let only one ship a year enter. Unaware of the problems, investors in Britain, enticed by extravagant promises of profit from company promoters bought thousands of shares. By 1717, the South Sea Company was so wealthy (still having done no real business) that it assumed the public debt of the British government. This accelerated the inflation of the share price further, as did the Bubble Act 1720, which (possibly with the motive of protecting the South Sea Company from competition) prohibited the establishment of any companies without a Royal Charter. The share price rose so rapidly that people began buying shares merely in order to sell them at a higher price, which in turn led to higher share prices. This was the first speculative bubble the country had seen, but by the end of 1720, the bubble had "burst", and the share price sank from £1000 to under £100. As bankruptcies and recriminations ricocheted through government and high society, the mood against corporations and errant directors was bitter. 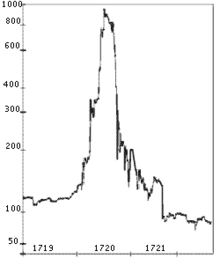 Chart of the South Sea Company's stock prices. The rapid inflation of the stock value in the 1710s led to the Bubble Act 1720, which restricted the establishment of companies without a royal charter. a collection of many individuals united into one body, under a special denomination, having perpetual succession under an artificial form, and vested, by policy of the law, with the capacity of acting, in several respects, as an individual, particularly of taking and granting property, of contracting obligations, and of suing and being sued, of enjoying privileges and immunities in common, and of exercising a variety of political rights, more or less extensive, according to the design of its institution, or the powers conferred upon it, either at the time of its creation, or at any subsequent period of its existence. Due to the late 18th century abandonment of mercantilist economic theory and the rise of classical liberalism and laissez-faire economic theory due to a revolution in economics led by Adam Smith and other economists, corporations transitioned from being government or guild affiliated entities to being public and private economic entities free of governmental directions. Smith wrote in his 1776 work The Wealth of Nations that mass corporate activity could not match private entrepreneurship, because people in charge of others' money would not exercise as much care as they would with their own. "Jack and the Giant Joint-Stock", a cartoon in Town Talk (1858) satirizing the 'monster' joint-stock economy that came into being after the Joint Stock Companies Act 1844. The British Bubble Act 1720's prohibition on establishing companies remained in force until its repeal in 1825. By this point, the Industrial Revolution had gathered pace, pressing for legal change to facilitate business activity. 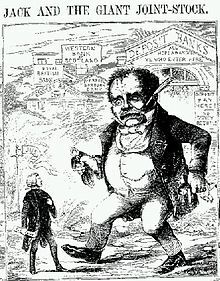 The repeal was the beginning of a gradual lifting on restrictions, though business ventures (such as those chronicled by Charles Dickens in Martin Chuzzlewit) under primitive companies legislation were often scams. Without cohesive regulation, proverbial operations like the "Anglo-Bengalee Disinterested Loan and Life Assurance Company" were undercapitalised ventures promising no hope of success except for richly paid promoters. The process of incorporation was possible only through a royal charter or a private act and was limited, owing to Parliament's jealous protection of the privileges and advantages thereby granted. As a result, many businesses came to be operated as unincorporated associations with possibly thousands of members. Any consequent litigation had to be carried out in the joint names of all the members and was almost impossibly cumbersome. Though Parliament would sometimes grant a private act to allow an individual to represent the whole in legal proceedings, this was a narrow and necessarily costly expedient, allowed only to established companies. Then, in 1843, William Gladstone became the chairman of a Parliamentary Committee on Joint Stock Companies, which led to the Joint Stock Companies Act 1844, regarded as the first modern piece of company law. The Act created the Registrar of Joint Stock Companies, empowered to register companies by a two-stage process. The first, provisional, stage cost £5 and did not confer corporate status, which arose after completing the second stage for another £5. For the first time in history, it was possible for ordinary people through a simple registration procedure to incorporate. The advantage of establishing a company as a separate legal person was mainly administrative, as a unified entity under which the rights and duties of all investors and managers could be channeled. However, there was still no limited liability and company members could still be held responsible for unlimited losses by the company. The next, crucial development, then, was the Limited Liability Act 1855, passed at the behest of the then Vice President of the Board of Trade, Mr. Robert Lowe. This allowed investors to limit their liability in the event of business failure to the amount they invested in the company – shareholders were still liable directly to creditors, but just for the unpaid portion of their shares. (The principle that shareholders are liable to the corporation had been introduced in the Joint Stock Companies Act 1844). The 1855 Act allowed limited liability to companies of more than 25 members (shareholders). Insurance companies were excluded from the act, though it was standard practice for insurance contracts to exclude action against individual members. Limited liability for insurance companies was allowed by the Companies Act 1862. This prompted the English periodical The Economist to write in 1855 that "never, perhaps, was a change so vehemently and generally demanded, of which the importance was so much overrated." The major error of this judgment was recognised by the same magazine more than 70 years later, when it claimed that, "[t]he economic historian of the future... may be inclined to assign to the nameless inventor of the principle of limited liability, as applied to trading corporations, a place of honour with Watt and Stephenson, and other pioneers of the Industrial Revolution. " These two features – a simple registration procedure and limited liability – were subsequently codified into the landmark 1856 Joint Stock Companies Act. This was subsequently consolidated with a number of other statutes in the Companies Act 1862, which remained in force for the rest of the century, up to and including the time of the decision in Salomon v A Salomon & Co Ltd. The legislation shortly gave way to a railway boom, and from then, the numbers of companies formed soared. In the later nineteenth century, depression took hold, and just as company numbers had boomed, many began to implode and fall into insolvency. Much strong academic, legislative and judicial opinion was opposed to the notion that businessmen could escape accountability for their role in the failing businesses. In 1892, Germany introduced the Gesellschaft mit beschränkter Haftung with a separate legal personality and limited liability even if all the shares of the company were held by only one person. This inspired other countries to introduce corporations of this kind. 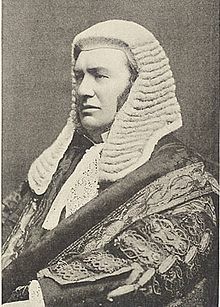 The last significant development in the history of companies was the 1897 decision of the House of Lords in Salomon v. Salomon & Co. where the House of Lords confirmed the separate legal personality of the company, and that the liabilities of the company were separate and distinct from those of its owners. In the United States, forming a corporation usually required an act of legislation until the late 19th century. Many private firms, such as Carnegie's steel company and Rockefeller's Standard Oil, avoided the corporate model for this reason (as a trust). State governments began to adopt more permissive corporate laws from the early 19th century, although these were all restrictive in design, often with the intention of preventing corporations from gaining too much wealth and power. New Jersey was the first state to adopt an "enabling" corporate law, with the goal of attracting more business to the state, in 1896. In 1899, Delaware followed New Jersey's lead with the enactment of an enabling corporate statute, but Delaware only became the leading corporate state after the enabling provisions of the 1896 New Jersey corporate law were repealed in 1913. The end of the 19th century saw the emergence of holding companies and corporate mergers creating larger corporations with dispersed shareholders. Countries began enacting anti-trust laws to prevent anti-competitive practices and corporations were granted more legal rights and protections. The 20th century saw a proliferation of laws allowing for the creation of corporations by registration across the world, which helped to drive economic booms in many countries before and after World War I. Another major post World War I shift was toward the development of conglomerates, in which large corporations purchased smaller corporations to expand their industrial base. Starting in the 1980s, many countries with large state-owned corporations moved toward privatization, the selling of publicly owned (or 'nationalised') services and enterprises to corporations. Deregulation (reducing the regulation of corporate activity) often accompanied privatization as part of a laissez-faire policy. A corporation is, at least in theory, owned and controlled by its members. In a joint-stock company the members are known as shareholders and each of their shares in the ownership, control, and profits of the corporation is determined by the portion of shares in the company that they own. Thus a person who owns a quarter of the shares of a joint-stock company owns a quarter of the company, is entitled to a quarter of the profit (or at least a quarter of the profit given to shareholders as dividends) and has a quarter of the votes capable of being cast at general meetings. In another kind of corporation, the legal document which established the corporation or which contains its current rules will determine who the corporation's members are. Who a member is depends on what kind of corporation is involved. In a worker cooperative, the members are people who work for the cooperative. In a credit union, the members are people who have accounts with the credit union. The day-to-day activities of a corporation are typically controlled by individuals appointed by the members. In some cases, this will be a single individual but more commonly corporations are controlled by a committee or by committees. Broadly speaking, there are two kinds of committee structure. A single committee known as a board of directors is the method favored in most common law countries. Under this model, the board of directors is composed of both executive and non-executive directors, the latter being meant to supervise the former's management of the company. A two-tiered committee structure with a supervisory board and a managing board is common in civil law countries. Historically, corporations were created by a charter granted by government. Today, corporations are usually registered with the state, province, or national government and regulated by the laws enacted by that government. Registration is the main prerequisite to the corporation's assumption of limited liability. The law sometimes requires the corporation to designate its principal address, as well as a registered agent (a person or company designated to receive legal service of process). It may also be required to designate an agent or other legal representative of the corporation. Generally, a corporation files articles of incorporation with the government, laying out the general nature of the corporation, the amount of stock it is authorized to issue, and the names and addresses of directors. Once the articles are approved, the corporation's directors meet to create bylaws that govern the internal functions of the corporation, such as meeting procedures and officer positions. The law of the jurisdiction in which a corporation operates will regulate most of its internal activities, as well as its finances. If a corporation operates outside its home state, it is often required to register with other governments as a foreign corporation, and is almost always subject to laws of its host state pertaining to employment, crimes, contracts, civil actions, and the like. Corporations generally have a distinct name. Historically, some corporations were named after their membership: for instance, "The President and Fellows of Harvard College". 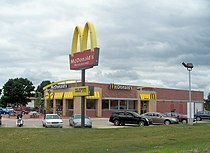 Nowadays, corporations in most jurisdictions have a distinct name that does not need to make reference to their membership. In Canada, this possibility is taken to its logical extreme: many smaller Canadian corporations have no names at all, merely numbers based on a registration number (for example, "12345678 Ontario Limited"), which is assigned by the provincial or territorial government where the corporation incorporates. In most countries, corporate names include a term or an abbreviation that denotes the corporate status of the entity (for example, "Incorporated" or "Inc." in the United States) or the limited liability of its members (for example, "Limited" or "Ltd."). These terms vary by jurisdiction and language. In some jurisdictions, they are mandatory, and in others they are not. Their use puts everybody on constructive notice that they are dealing with an entity whose liability is limited: one can only collect from whatever assets the entity still controls when one obtains a judgment against it. Some jurisdictions do not allow the use of the word "company" alone to denote corporate status, since the word "company" may refer to a partnership or some other form of collective ownership (in the United States it can be used by a sole proprietorship but this is not generally the case elsewhere). Despite not being individual human beings, corporations, as far as US law is concerned, are legal persons, and have many of the same rights and responsibilities as natural persons do. For example, a corporation can own property, and can sue or be sued. Corporations can exercise human rights against real individuals and the state, and they can themselves be responsible for human rights violations. Corporations can be "dissolved" either by statutory operation, order of court, or voluntary action on the part of shareholders. Insolvency may result in a form of corporate failure, when creditors force the liquidation and dissolution of the corporation under court order, but it most often results in a restructuring of corporate holdings. Corporations can even be convicted of criminal offenses, such as fraud and manslaughter. However, corporations are not considered living entities in the way that humans are. ^ "Types Of Corporations | Incorporate A Business". www.corpnet.com. Retrieved 2017-06-10. ^ Pettet, B. G. (2005). Company Law. Pearson Education. p. 151. Reading the above, makes it possible to forget that the shareholders are the owners of the company. ^ Courtney, Thomas B. (2002). The Law of Private Companies (2nd ed.). Bloomsbury Professional. 4.001. ^ corporation. CollinsDictionary.com. Collins English Dictionary – Complete & Unabridged 11th Edition. Retrieved December 07, 2012. ^ Vikramaditya S. Khanna (2005). The Economic History of the Corporate Form in Ancient India. University of Michigan. ^ Sayle, Murray (5 April 2001). "Japan goes Dutch". London Review of Books. London Review of Books, Vol. 23 No. 7. pp. 3–7. Retrieved 23 March 2018. ^ Brook, Timothy: Vermeer's Hat: The Seventeenth Century and the Dawn of the Global World. (Profile Books, 2008, ISBN 1-84668-120-0). ^ Wilson, Eric Michael: The Savage Republic: De Indis of Hugo Grotius, Republicanism and Dutch Hegemony within the Early Modern World-System (c. 1600–1619). (Martinus Nijhoff, 2008, ISBN 978-90-04-16788-9), pp. 215–217. ^ Tarrant, Nicholas (29 Apr 2014). "The VOC: The Birth of the Modern Corporation". The Economics Student Society of Australia. Retrieved 23 March 2018. ^ Phelan, Ben (7 January 2013). "Dutch East India Company: The World's First Multinational". PBS.org (PBS Online). Retrieved 13 March 2018. ^ Picard, Caroline (2 August 2016). "In The Late Afternoon of Modernism: An Interview with Graham Harman". Badatsports.com. Retrieved 23 March 2018. ^ Smith, B. Mark (2003). A History of the Global Stock Market: From Ancient Rome to Silicon Valley. (University of Chicago Press, ISBN 978-0-226-76404-7), p. 17. ^ Clarke, Thomas; Branson, Douglas (2012). The Sage Handbook of Corporate Governance (Sage Handbooks). (Sage Publications Ltd., ISBN 978-1-4129-2980-6, p. 431). "The EIC first issued permanent shares in 1657 (Harris, 2005: 45)." ^ Om Prakash, European Commercial Enterprise in Pre-Colonial India (Cambridge University Press, Cambridge 1998). ^ John Keay, The Honorable Company: A History of the English East India Company (MacMillan, New York 1991). ^ Haynes, Gerard Cohen-Vrignaud, Stephanie Metz, Jody Dunville, Shannon Heath, Julia P. McLeod, Kat Powell, Brent Robida, John Stromski, Brandon. "British East India Company". Retrieved 19 January 2017. ^ "Adam Smith Laissez-Faire". political-economy.com. Retrieved 2017-06-10. ^ A Smith, An Inquiry into the Nature and Causes of the Wealth of Nations (1776), Book V, ch 1, para 107. ^ Paul Lyndon Davies (2010). Introduction to Company Law. Oxford University Press. p. 1. ISBN 978-0-19-960132-5. ^ Graeme G. Acheson & John D. Turner, The Impact of Limited Liability on Ownership and Control: Irish Banking, 1877–1914, School of Management and Economics, Queen's University of Belfast, available at "Archived copy" (PDF). Archived from the original (PDF) on 2012-01-13. Retrieved 2011-11-16. CS1 maint: Archived copy as title (link) and "Archived copy" (PDF). Archived from the original (PDF) on 2012-01-11. Retrieved 2011-11-16. CS1 maint: Archived copy as title (link). ^ Economist, December 18, 1926, at 1053, as quoted in Mahoney, supra, at 875. ^ Besley, Scott; Brigham, Eugene (2008). Principles of Finance (4th ed.). Cengage Learning. p. 105. ISBN 978-0-324-65588-9. ^ "Company & Commercial – Netherlands: In a nutshell – one-tier boards". International Law Office. 10 April 2012. ^ The U.S. state of California is an example of a jurisdiction that does not require corporations to indicate corporate status in their names, except for close corporations. The drafters of the 1977 revision of the California General Corporation Law considered the possibility of forcing all California corporations to have a name indicating corporate status, but decided against it because of the huge number of corporations that would have had to change their names, and the lack of any evidence that anyone had been harmed in California by entities whose corporate status was not immediately apparent from their names. However, the 1977 drafters were able to impose the current disclosure requirement for close corporations. See Harold Marsh, Jr., R. Roy Finkle, Larry W. Sonsini, and Ann Yvonne Walker, Marsh's California Corporation Law, 4th ed., vol. 1 (New York: Aspen Publishers, 2004), 5–15 — 5–16. ^ Emberland, Marius (2006). The Human Rights of Companies: Exploring the Structure of ECHR Protection (PDF). Oxford University Press. p. 1. ISBN 978-0-19-928983-7. Archived from the original (PDF) on 17 June 2012. Retrieved 2 June 2012. ^ Phillip I. Blumberg, The Multinational Challenge to Corporation Law: The Search for a New Corporate Personality, (1993) discusses the controversial nature of additional rights being granted to corporations. Bromberg, Alan R. Crane and Bromberg on Partnership. 1968. Conard, Alfred F. Corporations in Perspective. 1976. Hessen, Robert. In Defense of the Corporation. Hoover Institute. 1979. Klein and Coffee. Business Organization and Finance: Legal and Economic Principles. Foundation. 2002. Micklethwait, John and Wooldridge, Adrian. The Company: a Short History of a Revolutionary Idea. New York: Modern Library. 2003. Barnet, Richard; Muller, Ronald E. (1974). Global Reach: The Power of the Multinational Corporation. New York: Simon & Schuster. This page was last edited on 9 April 2019, at 17:38 (UTC).